Still haven't finished my Nokia N91 review (unfortunately my review of the Series 60 v3 OS won't be the kindest since even with just Lifeblog and Opera Mini and the latest firmware, my N91 is still unstable after snapping about 50 pictures so it's not a ShoZu issue as I implied previously) and Andy Abramson and Brooke sent out the N93 and N73 which I received today! Wow! Mobile Christmas at Halloween. 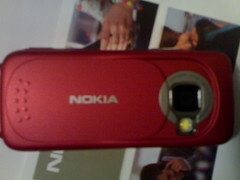 And the N93! I thought the next phones in the program were the N80 and N73! Thanks to Nokia and Communicano for continuing to allow me to review phones frankly and honestly! 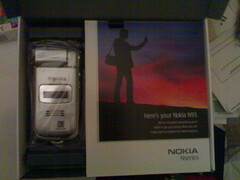 One problem: the N93 only came with a 128MB card, which is not going to be enough for my videoblogging experiments with it and the N73 didn't come with a card. The pressure is on. Need to get the N91 review finished. I think I am going to go to Future Shop and buy a card tomorrow for the N93. I'll finish my N91 review shortly. In the meantime I'll use the N73 and the N93 without a SIM.